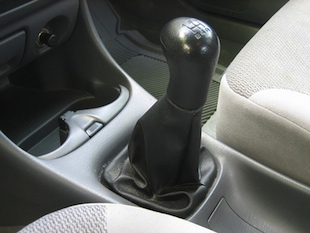 An attempted stickup was confounded by a car’s stick shift, when would-be carjackers failed to understand the mechanics behind a manual transmission. Randolph Bean tells WOFL FOX 35 that two men attempted to steal his 2002 yellow Corvette at gunpoint outside an Orlando hospital, but they ended up running away after they couldn’t figure out how to drive his car. "They apparently couldn't start it,” Bean 51, is quoted as saying in a police report. “I had to tell him four different times to push in the clutch, because it's a standard transmission." After several failed attempts, the thieves eventually fled the scene. “My first thought was I guess we don't have driver's ed. in school anymore, because no one knows how to drive a stick. And my second thing was, don't shoot me because you can't start the car,” Bean said. “I'm trying to help you out here, you know. Thankfully they didn't." However, the foiled carjackers did not leave entirely empty-handed. "They got away with my phone, they got my keys, they got my wallet," Randolph told the Fox affiliate.